Colourful yet sober, 3 Designer Long Kurtas (3LD1) is a unique collection. 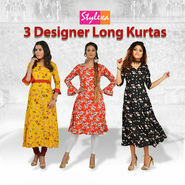 Made from crepe, these kurtas are soft, comfortable, light in weight and perfect for daily wear. 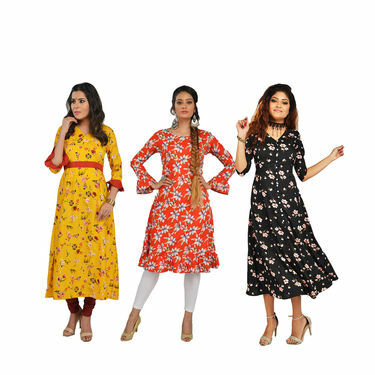 With eye-catchy prints and vibrant colors, the combo is a mix of a traditional and modern look to wear at work or a casual evening out with family and friends. Team it with contrasting churidar and trendy footwear to complete your look for the day. 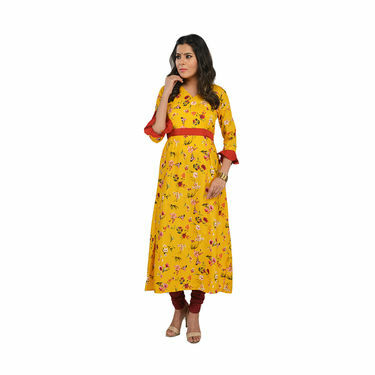 Yellow long kurta with all over small flower prints scattered throughout, V neck & A-line dress which can give you a slim fit look. Sleeve has been cut in ruffle style with contrast maroon ruffles. 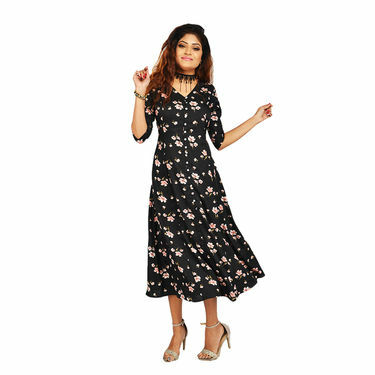 It has a maroon border which gives the dress a belted look. 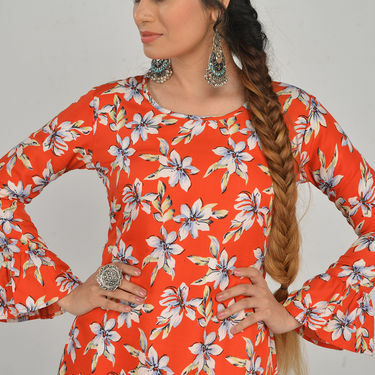 Red long kurta with all over big floral prints, designed with a circular neck line. Very girlish pretty ruffle sleeves. 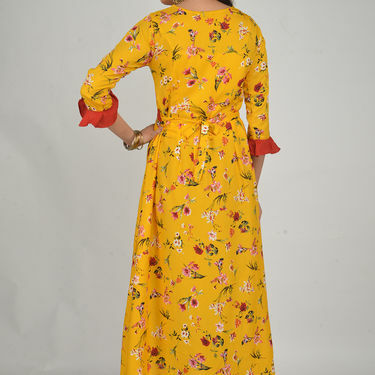 The hemline has also been styled with a ruffles.